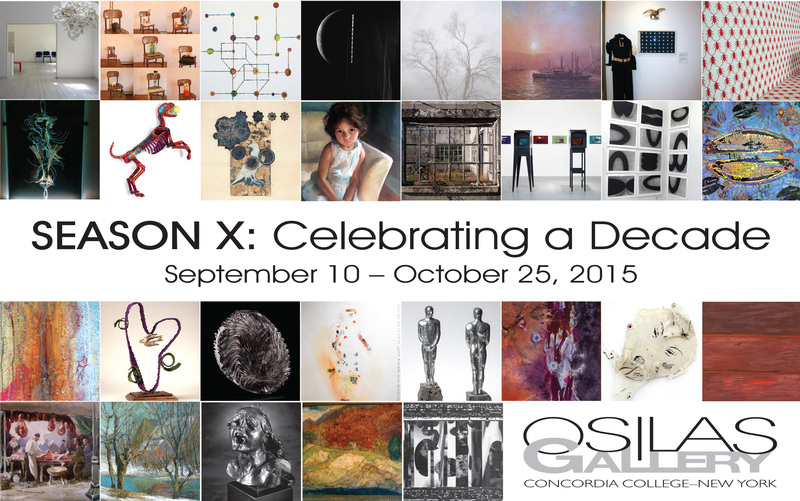 This Fall, the OSilas Gallery at Concordia College will celebrate its tenth season. To commemorate this milestone, the Gallery is presenting the exhibition Season X: Celebrating a Decade, which will open to the public on September 10. The exhibition will feature artists and collectors who have shown their art in one of the gallery’s major exhibitions over the past nine seasons. The exhibition will feature all new contemporary artists’ and collectors’ artwork that has never been exhibited at OSilas Gallery and in many cases, on exhibit anywhere before. This focus on new work is an opportunity to view our featured artists’ evolution and growth while allowing visitors to reconnect with some of their favorites. Season X: Celebrating a Decade will run from September 10 to October 25 with an Opening Reception on September 10 at 7pm. An exhibition catalog will be for sale.